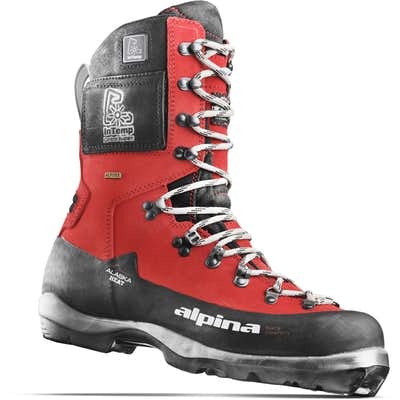 I am wondering about the "cross country like" aspects of Alpine Touring gear. I am in Ontario Canada, where hills as small as 75 meters can be referred to as "mountains". I'm a relatively experienced cross country skier, but I like the idea of being able to clip in and use alpine turns on steep downhills (even short ones). In addition, any touring I do locally is going to be on ungroomed trails, and snow that is only 20 to 40cm deep, and covering relatively short distances (2 to 3 hour day trips). How does Alpine Touring gear perform in situations where you are traversing long flats, and climbing and descending short hills of varying steepness. Can you achieve good glide using a "kick and glide" technique, is it reasonably conformable? Are skins absolutely required for climbs or can one get away with the herringbone technique? Any other reasons I might be missing that would make me regret Alpine Touring skis for this application? You can, but how well you glide will vary depending on your skins. Some styles glide better than others, and you will glide more with a shorter skin opposed to a full length skin. There's a 2km approach to where I go backcountry skiing most of the time. Most people skin in the whole 2km on the flat, but I've been skiing the approach in the past couple of years with a bit of kick wax on my bases. It's leaps and bounds better than skinning the whole way on the flat. And the wax doesn't stick to the glue on the skins. The trade off is your skis aren't as fast on the descent, and you have to thoroughly clean off all the sticky wax before you can hot wax your skis, but after one run on fresh snow most of the kick wax is pretty much scraped off anyway. The herringbone will help you up hills to a degree, but it's pretty awkward with the AT setup, and downright miserable in deep snow. When it gets deep and steep you're going to want your skins. If you're mostly on flat or rolling terrain, I would not recommend Apline Touring skis, you will regret the decision pretty quick, they're too heavy, cumbersome, and uncomfortable for that type of terrain. AT's are meant for climbing and descending tall steep mountains. Where you are planning on skiing, you would be far better off getting a Backcountry/Off-Track Touring setup. Backcountry Touring skis are the hybrid between classic skiing and telemarking. 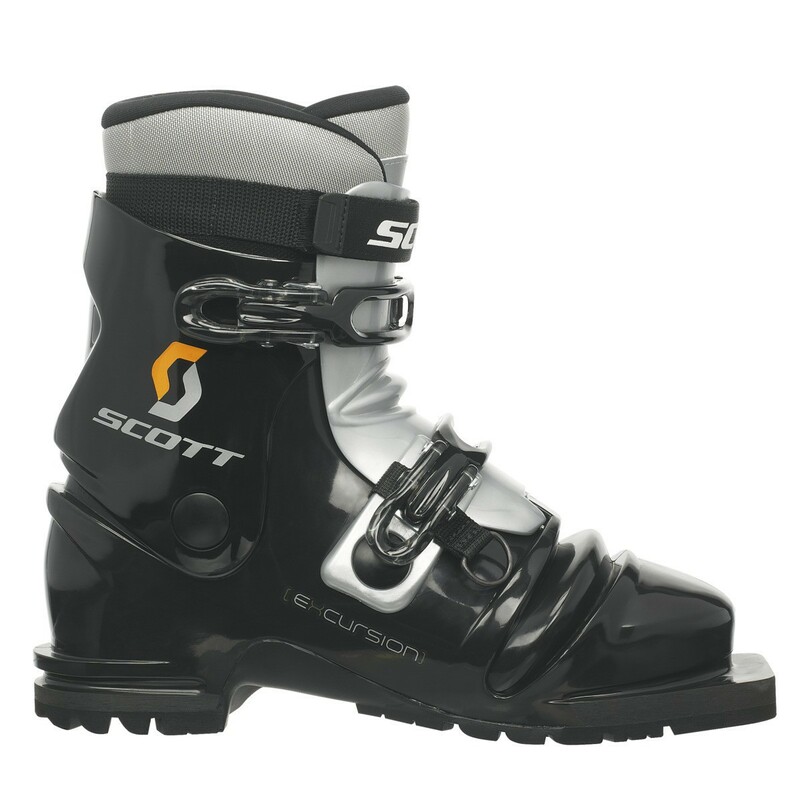 The boot are very similar to sturdy hiking boots, and you can them for 75mm toe bindings or NNN. The skis are like lightweight alpine skis with full steel edges, you can get them waxless, or with wax bases and use short skins. You should check them out. I haven't tried it myself, but I know of someone who sometimes waxes the entire base of his AT skis with grip wax instead of putting his skins on. It works perfectly fine for exactly the same conditions that would work with cross-country skis, so a gentle uphill will work. His first descent might be a bit slower, but the wax often disappears by the end of the day. The only issue is that you can't easily or efficiently kick with AT boots. I personally have experienced crazy spring conditions where it was 25°C in early march in the Northeast. The snow was so waterlogged that, because of surface tension, I guess, even on slight downhills and flats during ski-out, we needed to kick and glide to gain any forward movement. It definitely works if you can get some grip. As for the herringbone, forget it. The fact that the toes are hinged with no restriction of motion for the skis makes it super difficult and unwieldy. It is possible to cover great distances with an AT kit though. Every winter I go to the Groulx Mountains early February to open a trail to the plateau on frozen streams and it's an almost 20km day-trip out-and-back. But if I'd bring my expedition cross-country kit, I'd shave a lot of time on the ascent and save tons of energy. 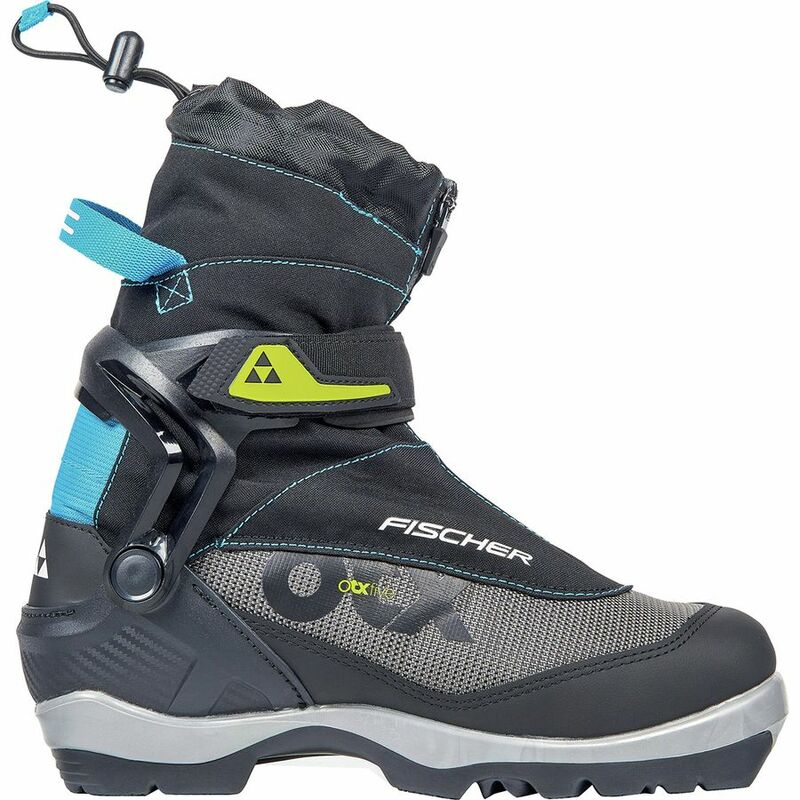 If you want some downhill capabilities, I feel you'd be better served by light plastic or heavy leather telemark boots (think Scott Excursion or Scarpa T3) on a really sturdy Voile 75mm binding setup. For that you need robust skis that can take the pressure of cable bindings and boots, so a bit more than true cross-country skis. Voile has great skis with a grip pattern in the kick zone that can descend well but are light enough that doing long distances isn't a grind. Not the answer you're looking for? Browse other questions tagged skiing cross-country-skiing alpine-touring or ask your own question. What are the different materials for ski climbing skins and advantages to each? How do you punch out toes in ski-touring boots?